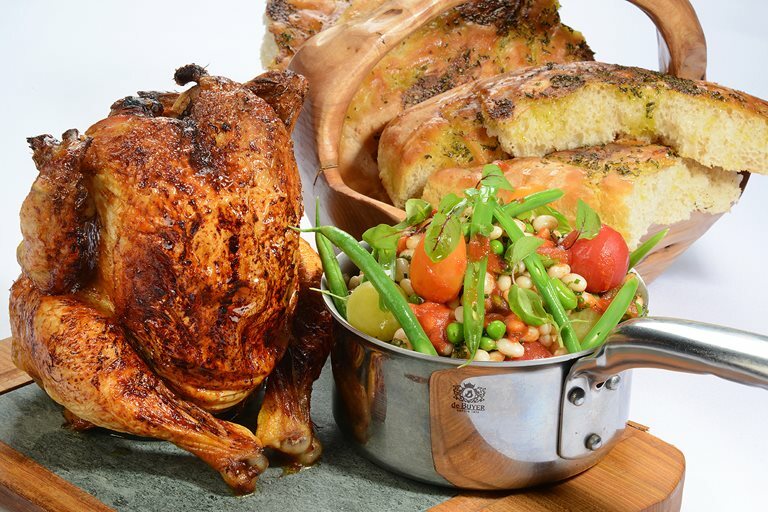 Lisa Allen shows her love of seasonal and organic produce with this ultimate summer barbecue recipe, using quality corn-fed chicken (infused with beer as it cooks) and a side of vibrant summer beans. A delicious garlic bread is the perfect accompaniment to share, and can be made ahead of time. Beer can chicken holders are easy to find online, but otherwise you could use a deep tray to hold the chicken upright while cooking.